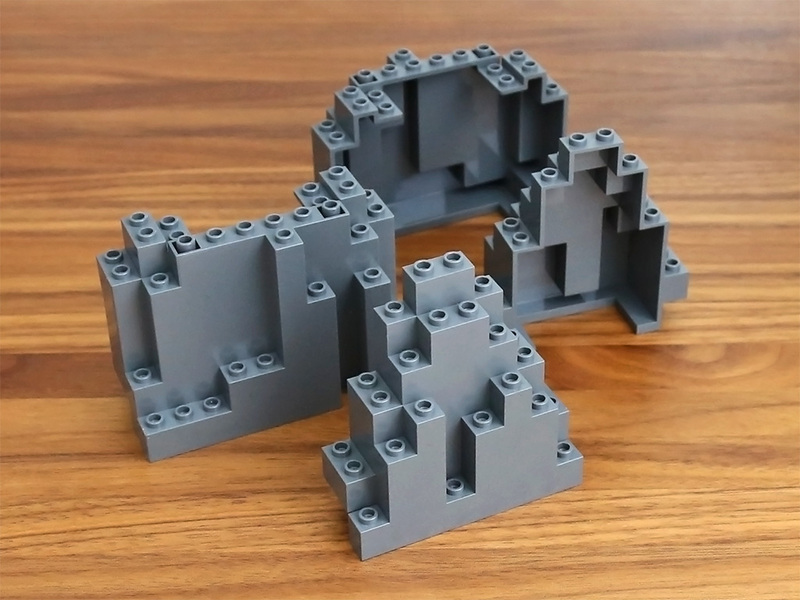 No, this blog entry is not about gaseous digestive tracts, but about two of the most hated LEGO pieces of all time: Big Ugly Rock Piece and Little Ugly Rock Piece, BURP and LURP respectively. Being introduced in 1992 for the LEGO Castle theme (6075 Wolfpack Tower), BURPs and LURPs came out during my dark ages, so I became acquainted with them only after my AFOL initation. This Christmas I finally crossed paths with them live. I also don’t think the pieces are necessarily ugly, when used dynamically as part of a landscape. I gather that some of the earlier LEGO Castle and Ninja sub-theme sets had them rather brutally “glued on” to the bases of buildings, which certainly looks less than appealing in pictures. But I do think The Mine has at least a better approach. Maybe the more dynamic new wall building in LEGO can breathe in new life into these old elements as well?